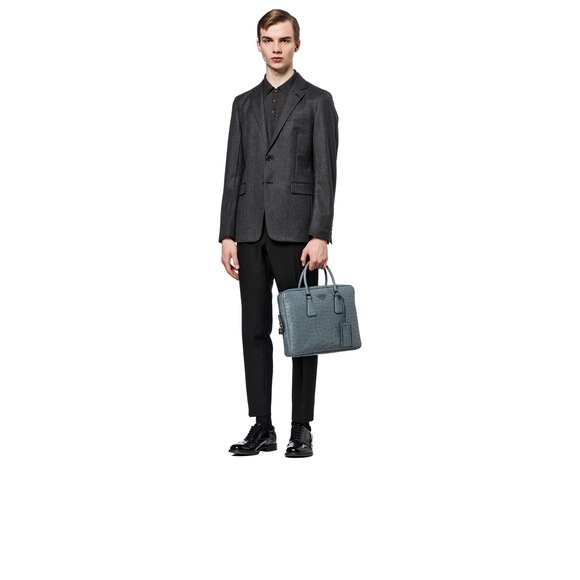 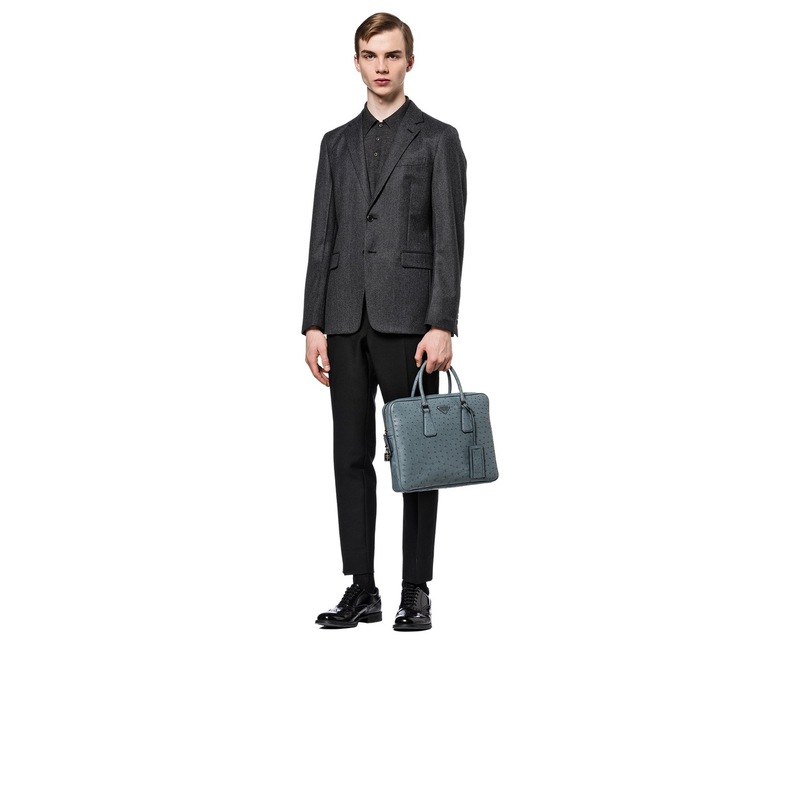 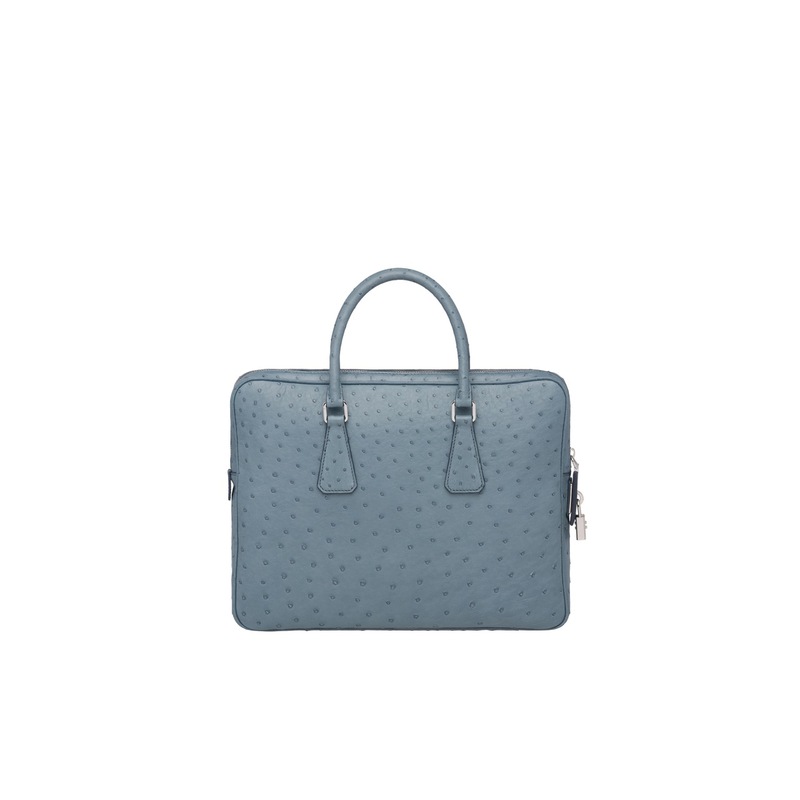 A briefcase characterized by the distinctive texture of the ostrich leather. 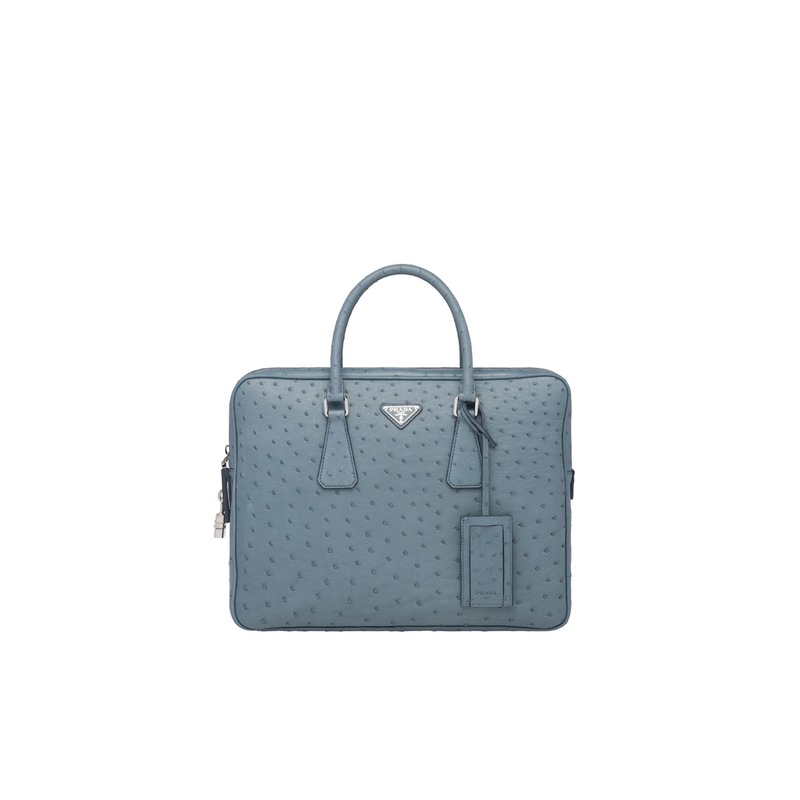 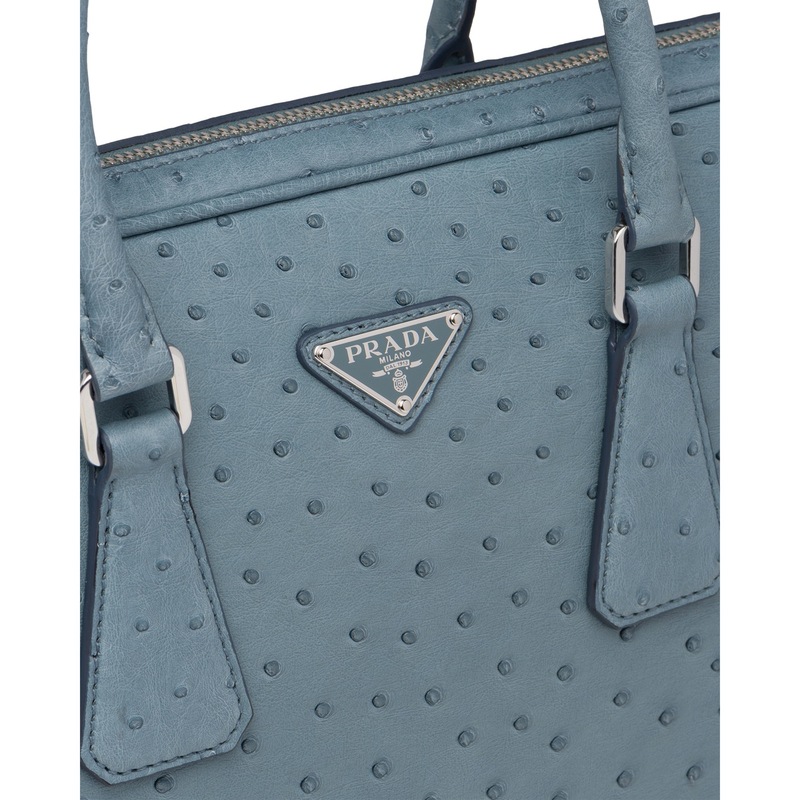 The outside is embellished with the Prada logo, leather name tag and combination lock. 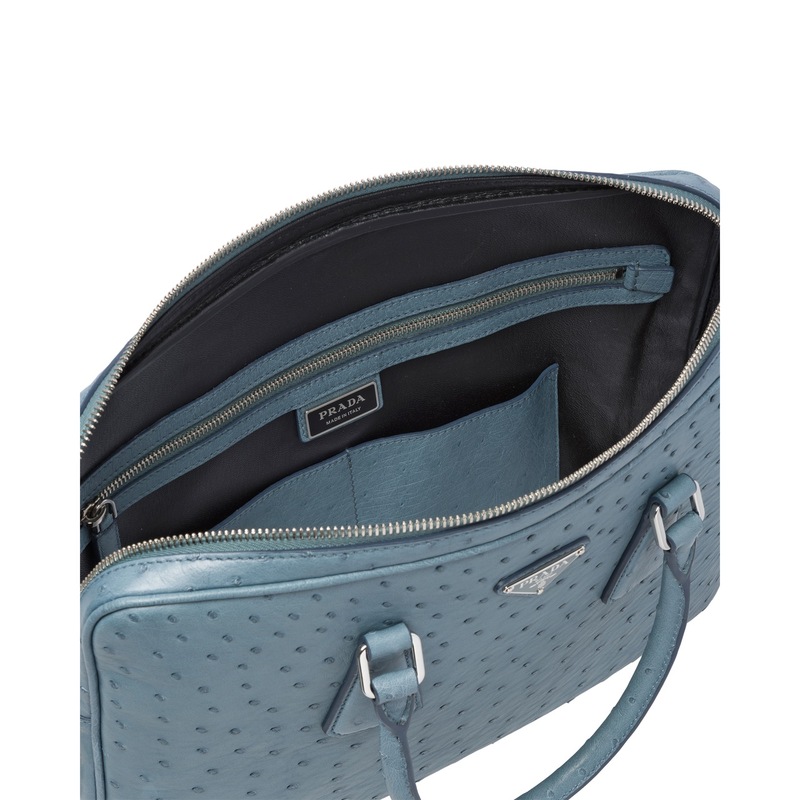 The compartment is organized for professional use.